New leaks of the rumoured HTC One 2 Mini device codenamed HTC M8 Mini suggest that despite the word Mini being appended onto the end, it certainly is no slough when it comes to the specs, and if the leaks are true, the device could well be one to contend with. Courtesy of notorious leaker @evleaks, the HTC M8 Mini specs have found their way online and show that it still has some impressive specs, despite being targeted as the lower end device. HTC M8 mini (mem_ul): SD400 (1.4GHz x4), 4.5″, 720p, 1GB/16GB (+microSD), 13MP/5MP, a/b/g/n/ac, BT4.0, KK4.4.2, Sense6.0, buttons on screen. According to the leak, the HTC M8 Mini will run Android 4.4 KitKat with HTC’s latest version of the Sense 6 UI, which is on par with the handsets rumoured bigger sister. What are the HTC M8 Mini specs? The HTC M8 Mini is set to have a Snapdragon 400 quad-core processor with 1GB or RAM and 16GB of internal storage, together with a microSD expansion slot. HTC may, however, be ditching the physical buttons for the device and instead chose to use the software on-screen navigation keys. In addition, the device is said to have a 4.5-inch screen which will run at 720p resolution, putting it at nearly the same size as the current HTC One device. 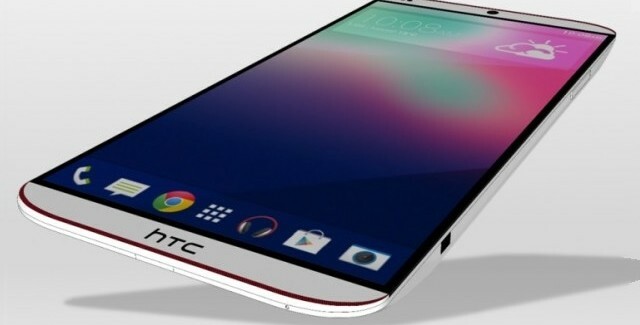 The leak also suggests a 13-Megapixel camera will feature in the M8, but given HTC’s love of Ultrapixel and considering the current HTC One Mini had only a 4-Megapixel camera, it seems odd that HTC would not look to utilise similar technology and focus on their Ultrapixel technology rather than just pack Megapixels into the device. What about the HTC M8 Mini Price? Pricing has not been suggested, but given it will be marketed as a budget device it would probably look to compete with the likes of the Motorola G and try to undercut the Nexus 5 price point. For those who don’t want a high-end premium device like the next generation of the HTC One, the codenamed HTC M8 Mini seems like a perfect alternative offering pretty good specs and what I assume will be a fraction of the price. Thoughts, as always, in the comments section below.